Ho Chi Minh City is considered as an interesting city where have many historic venues attracting travelers in the world. Where are the great places tourists should visit in the first time they come to Ho Chi Minh City? With the guide below about Top 5 Historic Destinations in Ho Chi Minh tourists can get all of the information they need to ensure they don’t miss anything this fascinating city has to offer. Ben Thanh market was inaugurated in March 1914 by French because they would like to have a place to meet demands of city’s developments. Ben Thanh market is situated in District 1 in the heart of Ho Chi Minh City at the intersection of Le Loi, Ham Nghi, Tan Hung, and Le Lai streets. The market is great for experiencing the local lifestyle and sampling unique Vietnamese delicacies. 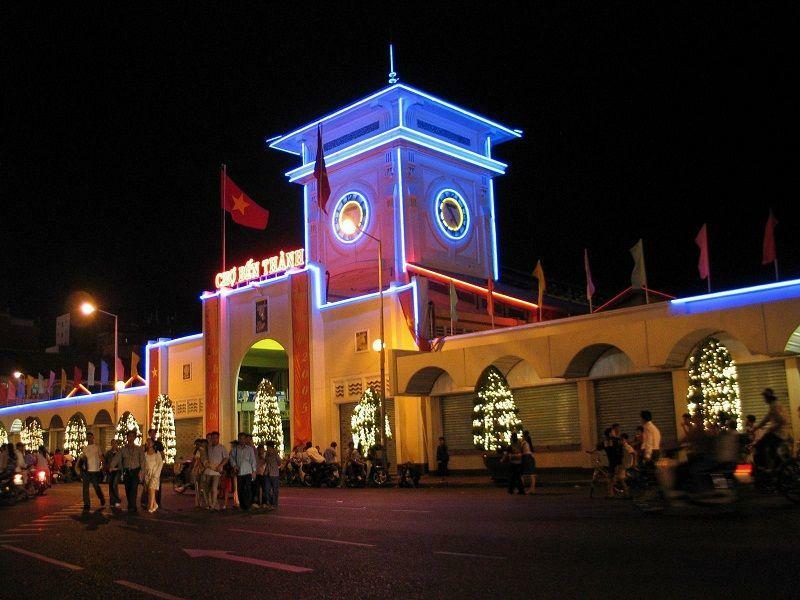 Besides, this market is a great place to buy local handicrafts, branded goods, Vietnamese art and other souvenirs. Here, traveler will find eating stalls inside the market where they can get a taste of Vietnamese cuisine or simply cool off with a cold drink. When night falls, restaurants around the perimeter of the market open their doors creating a vibrant street side scene filling the air with the scents of wok-fried noodles, barbecued fish and meats. The Saigon River rises near Phum Daugn in south east Cambodia and flows 230 km to the South China Sea, passing through Ho Chi Minh City as it does so. 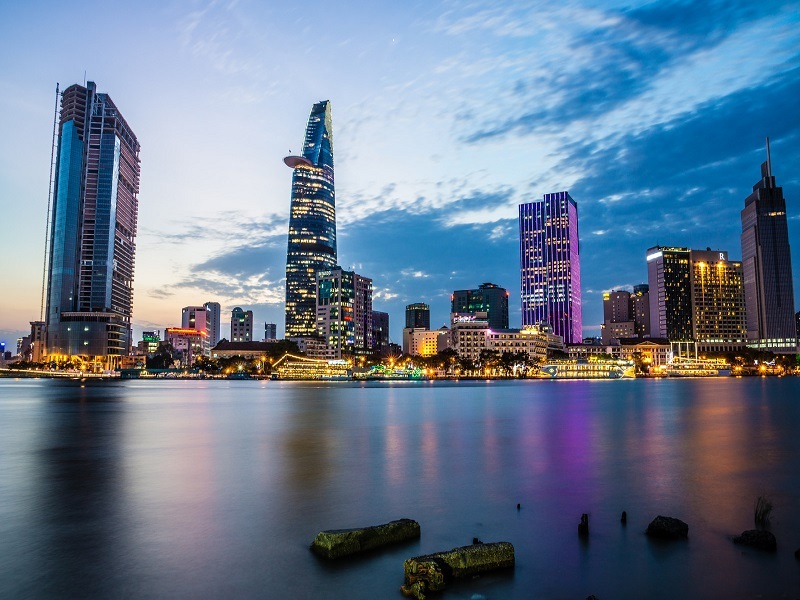 The river is important to Ho Chi Minh City because it forms part of its water supply, and is also the home of Saigon Port, with a total cargo volume of nearly 40 million metric tons a year. Since 2011 there has been a bridge under the river, called the Thiem Tunnel, which is the longest cross-river tunnel in South East Asia. One of the most interesting on Saigon River is the luxury boats with a wooden interior. Guests can book a vessel for a 2-hour tour up the Saigon River to visit around Thanh Da Island and riverfront villas in one of Saigon’s most upscale neighborhoods before passing by the rural heart of Ho Chi Minh City where has many rice fields and palm trees on the riverbank. Continuing downstream, they will see the city’s rapid urban development. Sipping a complimentary cocktail while watching the sun go down over Ho Chi Minh City during in cruise is the best interesting experience for the guests. They will be admired the city skyline illuminated by blazing lights. Far from the noisy, crowded streets, they will appreciate the tranquility of the Saigon River at sunset. Glide past multiple bridges and observe life on the river before relaxing with their drink in hand. Moreover, the guests are served beer, wine and soft drinks to accompany complimentary snacks before your boat tour ends in the heart of Saigon with drop-off at their hotel. 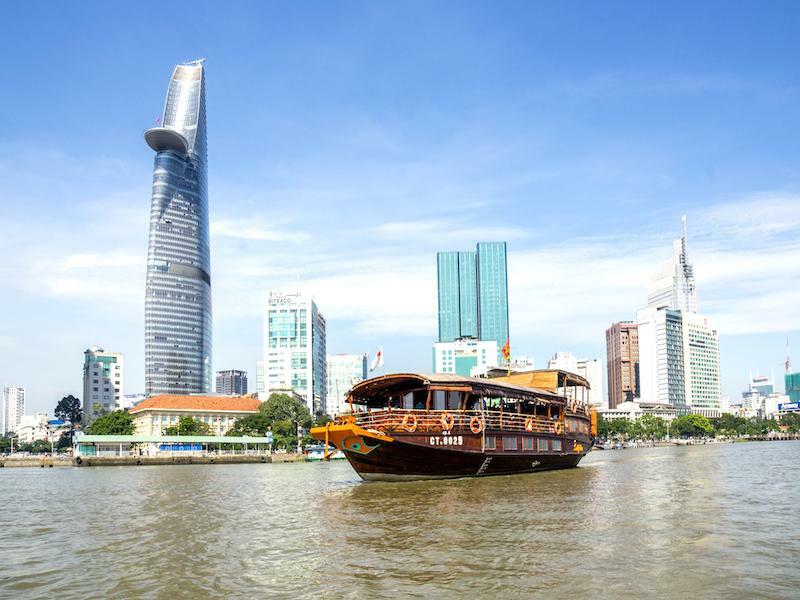 There are lots of great spots in the city from which to enjoy the Saigon River: from local waterfront restaurants to boutique hotels, from scruffy riverside cafes to rooftop bars like Propeller Bar in Bay Hotel on 7 Ngo Van Nam, District 1, Ho Chi Minh City. 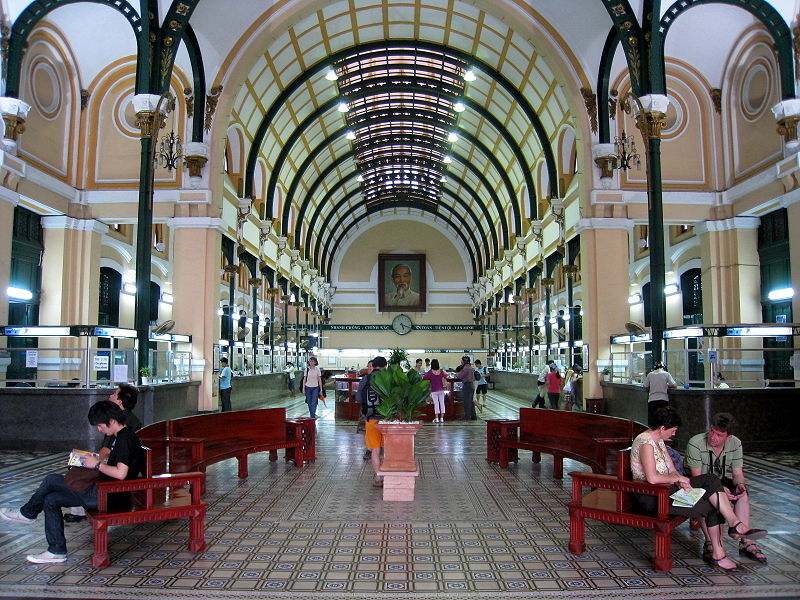 The Central Post Office in Ho Chi Minh was constructed between 1886 and 1891, the looping arches, intricately designed marble floors and antiquated telephone boxes all serve as a reminder of the importance the post office played in days before email and mobile phones. Painted walls overhead are two maps of the region; one of them showing the telegraph lines that crisscross Vietnam and Cambodia and the other displaying a map of the Saigon region in 1892. A functioning post office makes the experience even sweeter, and encouraging everyone to send a letter or postcard from here – it’s a piece of living history where even the old fashioned glue pots are still in use for sticking stamps to letters. 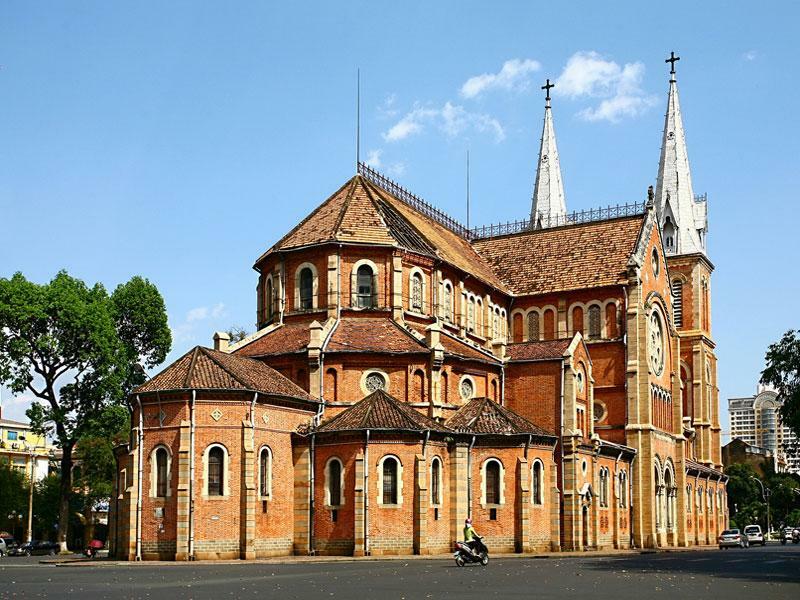 The Notre Dame Cathedral is an example of Neo-Romanesque architecture with red-brick that is distinctive landmark in the heart of Ho Chi Minh City. Its twin square towers rise almost 60 meters above the city, capped by iron spires. Built from 1877 to around 1883, the cathedral was intended to be a place for the colonial missions to worship and a symbol of the power of the French colony. The exterior consists of red bricks from Marseille, and the clock between the two bell towers was built in Switzerland in 1887. Notable features of the interior include 56 squares of stained glass by Lorin from France, the 12 pillars representing the 12 apostles, and one of Vietnam’s oldest organs. The best time to visit is during Sunday mass at 09:30. As with any holy places around the world, do dress appropriately and refrain from disturbing the worshippers when you’re exploring (and photographing) Saigon Notre Dame Cathedral. 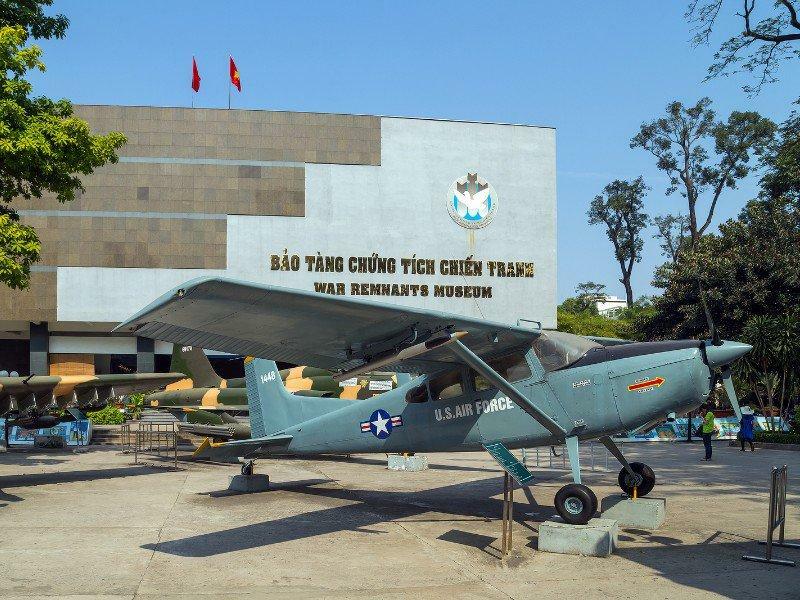 The War Remnants Museum is one of the most popular museums in Vietnam, with exhibits related to the horrors of war. The museum primarily focuses on the Vietnam War, however some exhibits relate to the first Indochina War with French colonialists. Most of the displays are photographic images, and some of these are confronting – especially the graphic shots of child Agent Orange victims. Artifacts on display include a guillotine and the “tiger cages” used for Viet Cong prisoners. The exhibits poignantly portray the brutality of war. The museum also includes a fascinating display on the work of war photographers, from both sides, who lost their lives during the conflicts. Period military vehicles and weapons are displayed in the museum’s courtyard. Note: some of the exhibits are not suitable for small children.